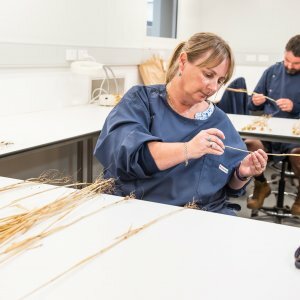 A new $16 million Agricultural Science and Engineering Precinct has officially opened at the University of Southern Queensland (USQ) Toowoomba campus. 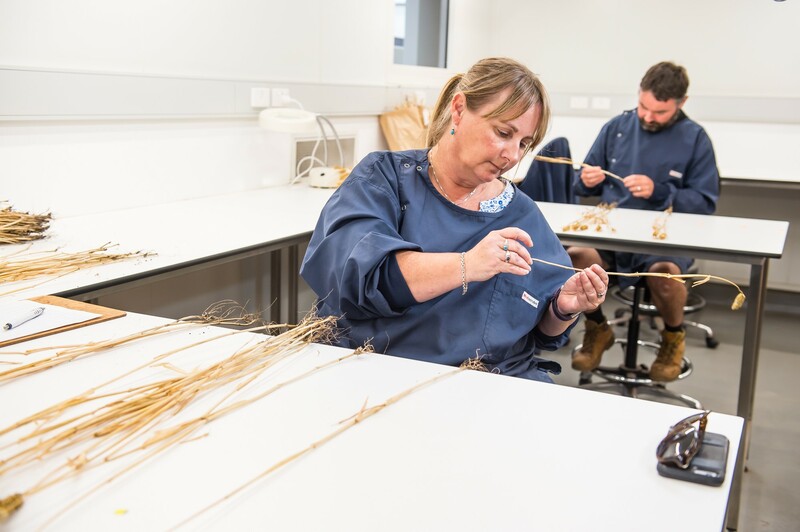 Co-funded by the Grains Research and Development Corporation (GRDC) and USQ, the Precinct will be used primarily for GRDC-supported, USQ-led research conducted for the benefit of Australian grain growers. Other beneficiaries from the new precinct will be research funded by the Broadacre Grains Research Partnership, AgriFutures Australia, Hort Innovation and the Australian Centre for International Agricultural Research. 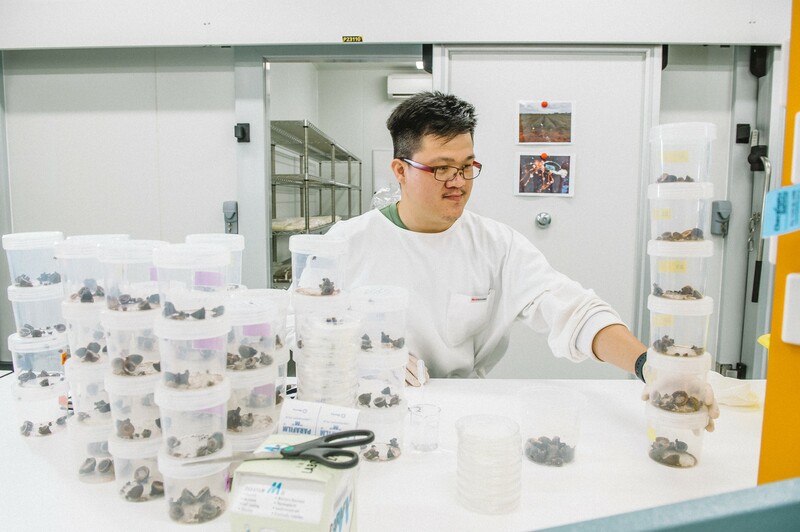 USQ plays a major role in research and development in particular in the areas of crop protection, plant pathology and biotechnology as it relates to crop protection. 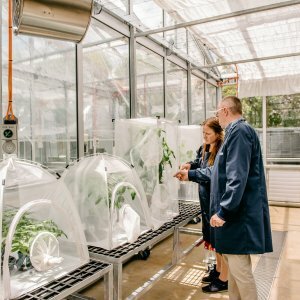 The new development includes ten laboratories, including specialist quarantine facilities, four glasshouses, netted and irrigated facilities for field research, harvesting and processing of field and glasshouse samples, root and soil sampling for nematodes and four state-of-the-art controlled environment rooms. Professor Mackenzie said the infrastructure was crucial to the on-going research drive of the University. “This investment in infrastructure will help support the delivery of our world-class agricultural and environmental research, so USQ continues to be a national and indeed international leader in crop protection, plant pathology and biotechnology research,” Professor Mackenzie said. 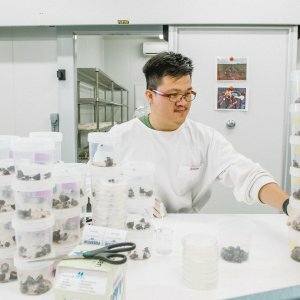 “This is a unique facility that will work as a nexus between microbiology labs through to processing labs, state-of-the-art glasshouses and the field research unit, allowing researchers to look at the whole spectrum of research which underpins crop protection in Australia. The glasshouses and new facilities will be used for pre-breeding programs for wheat and chickpeas, specifically assisting in the development of varieties that are drought, heat, and soil pathogen resistant. 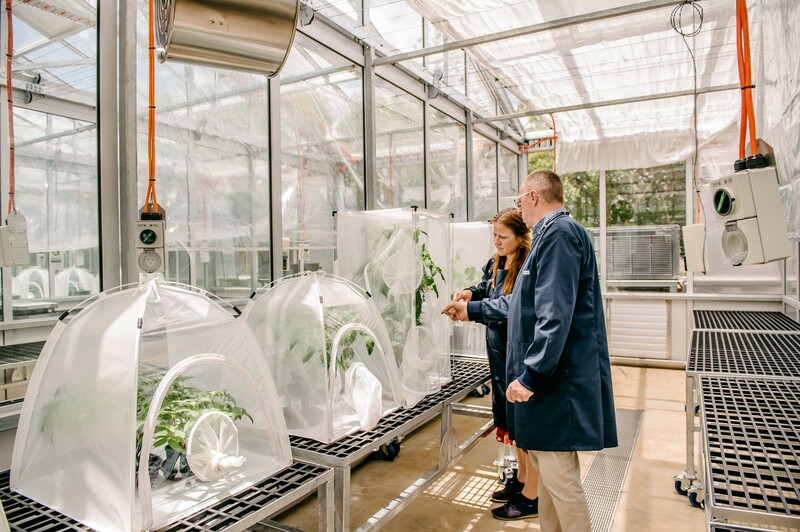 These high tech glasshouses continually monitor the surrounding weather conditions to maximise plant growth and provide the ideal conditions for plant pathogen research. The Precinct will also facilitate interaction with agricultural engineering research teams, providing the ability to undertake machine vision sensing and robotics trials, which will lead to a faster selection of advanced disease resistant grain varieties and better options for farmers for disease and insect management. Readers also enjoyed our story about USQ College Leaders. Featured image: USQ Chancellor John Dornbusch; Grain Research Development Corporation Chairman John Woods; State Minister for Agricultural Industry Development and Fisheries Mark Furner; USQ Vice-Chancellor Geraldine Mackenzie.